The good news is that I managed to finish one last week. 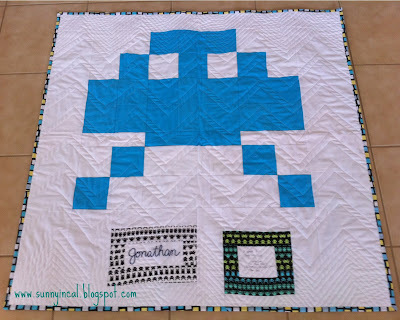 It's for baby Jonathan. I used some metro living circles and some geeks gone wild by Timesless Treasure. I didn't want to make it "too babyish" so these prints worked perfectly together. These are all HST's arranged in a zig zag patttern. Finished quilts measures 40" x 40". 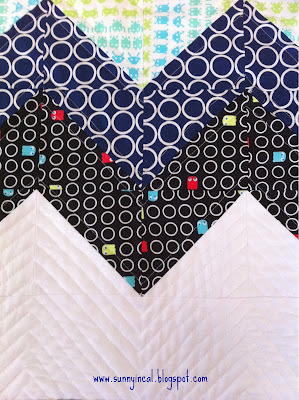 I quilted it with staright lines and made more lines on the ends. 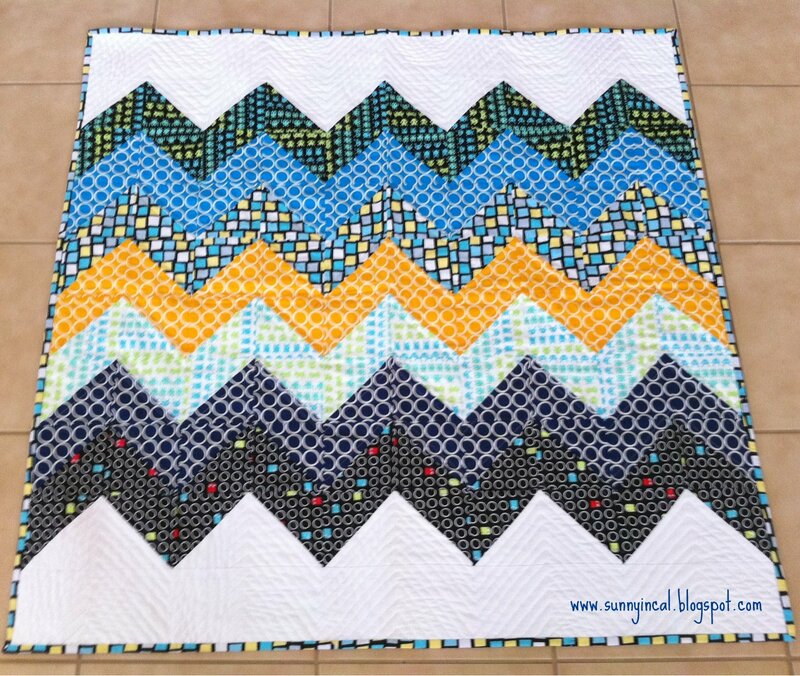 I've new completed 2 quilts this year. Feels good! 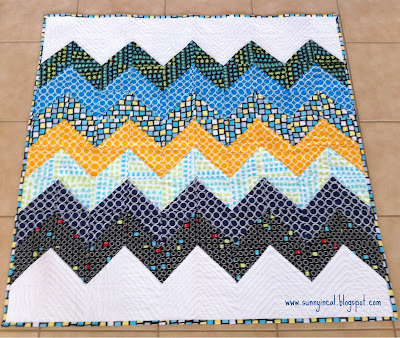 Thanks so much for letting me share another quilt. 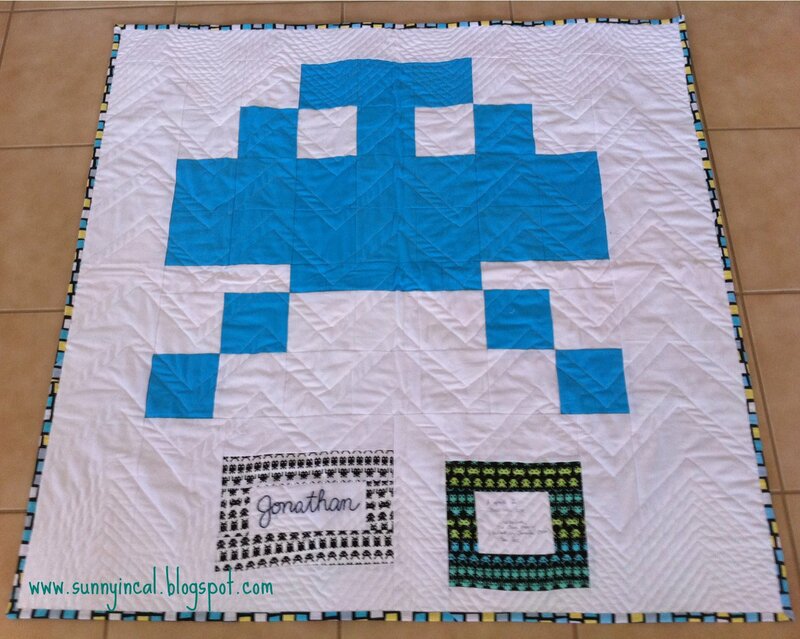 The quilt turned out great. 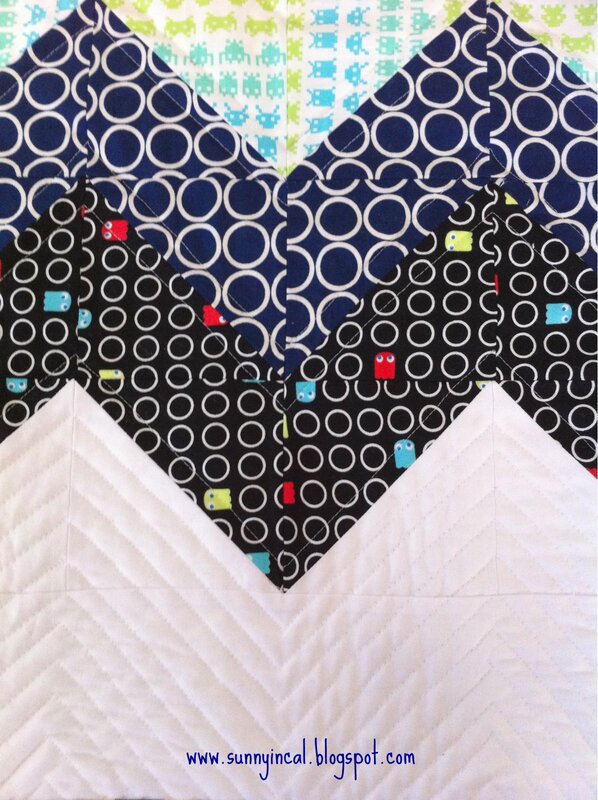 I love the straight line stitching and fabric choices. You have some lucky friends. I'm Jennifer (aka Sunny)! I'm married to my wonderful and very supportive husband. I'm a mom to 2 awesome kids. I love being a stay-at-home mom that occasionally has time to be creative. Oh, and I love living in Southern California too! Nineteen Eighty-Five Lookbook is Live! Anna Maria Horner in Los Angeles! !